Handled correctly, material from [social media] sites can help us enhance our reporting, and our reputation, and this trend should be embraced. This is in contrast to the BBC’s policy, which encourages its reporters to use social media as a primary news source. Still, Reuters does acknowledge that organizations and institutions are using Twitter to release their news. The new policy requires that Twitter be acknowledged as the source of information, similar to citing a press release. Basically, reporters must handle information discovered on Twitter as a news tip to investigate more deeply. Only senior editors can approve using citizen material from Twitter such as photos and videos. 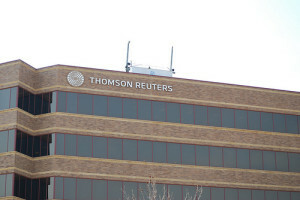 More specific guidelines for Twitter are that reporters must receive permission from their line manager to use the site as part of their Reuters professional role, “Reuters” must be used in the username or at least somewhere on the profile page, and reporters must keep most details about their personal life out of their professional Twitter feed. Online collaborative encyclopedias such as Wikipedia cannot be used as an attributed source, meaning the entries cannot be linked to, quoted, or used as background information. The original source links included as footnotes on a Wikipedia entry can be used, of course. Avoid raising questions about your freedom from bias. Reuters gives examples specific to Facebook, such as listing your religious or political affiliations, joining groups with particular associations, or linking mainly to voices on one side of a debate. Be transparent. For example, acknowledge that the news source is an anonymous Twitter user, and you cannot verify the veracity of the information. Respect copyright. Photos and videos distributed via social media still fall under copyright protection. Take particular care in attribution of unorthodox sources. This is especially true when they sources are anonymous or only known by their username on a site like Twitter. We want to encourage you to use social media approaches in your journalism but we also need to make sure that you are fully aware of the risks — especially those that threaten our hard-earned reputation for independence and freedom from bias or our brand. […] This is a fast-changing world and you will need to exercise judgment in many areas. To see some Reuters “special journalists” and online editorial staff already in action on Twitter, check out @BenHir, @BobbyMacReports, @MediaFile, @Reuters_FluNews, and @Reuters_Co_UK. Image by ThomsonReutersLegal, used under its Creative Commons license.